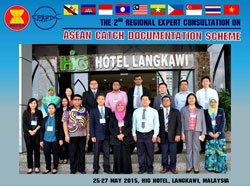 The 2nd Regional Expert Consultation on ASEAN Catch Documentation System was convened from 25 to 27 May 2015 in Langkawi, Malaysia. The Consultation was attended by representatives from five SEAFDEC Member Countries namely; Indonesia, Malaysia, Philippines, Singapore, and Thailand as well as Senior officials from SEAFDEC. 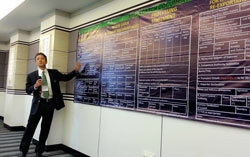 The Consultation was also attended by the Director of INFOFISH and representatives from private sectors. 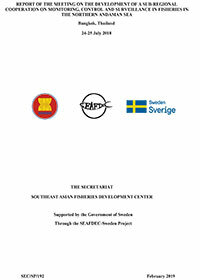 The task of this Consultation were to review the second draft of the ASEAN Catch Documentation Scheme (ACDS) and come up with the 3rd draft particularly on the various Forms of the Catch Documents, taking into account the recommendations raised during the 47th Meeting of the Council as well as comments of the Member Countries. 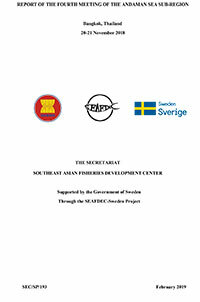 The Consultation expected to analyze the usage of the ASEAN Catch Documents or ASEAN Catch Certificate in various scenario and conditions. 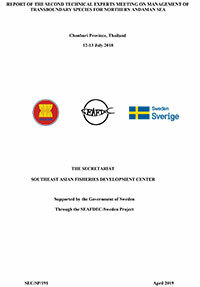 The Consultation were able to come up with the detailed adjustments as well as analysis on the usage of the ASEAN Catch Documents/ASEAN Catch Certificate in various conditions. 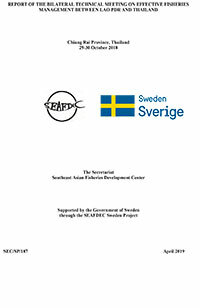 The Consultation also discussed and suggested work plan to enable SEAFDEC to improve the ACDS and complete its development in the near future. 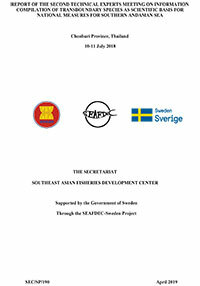 The results of the disccusion duirng this Consultation will be reported during the 23rd Meeting of ASEAN Sectoral Workshop Group on Fisheries to be conducted in Nay Pyi Taw from 8-12 June, 2015.